The Easter long weekend is a great time to celebrate with friends, family (and of course your pets) and with the right planning it can be an exciting time for the whole family. Read on below for our top tips for having a happy, healthy and fun Easter weekend with your pet. Easter egg hunts are not just for the kids! Include your furry friend by hiding some of their favourite treats and lead them on an Easter egg hunt they won’t forget. Ensure you hide the goodies when your pet isn’t looking and choose locations that are in view and at nose level. Bring your pet into the hiding area and watch them hunt around for those special treats! 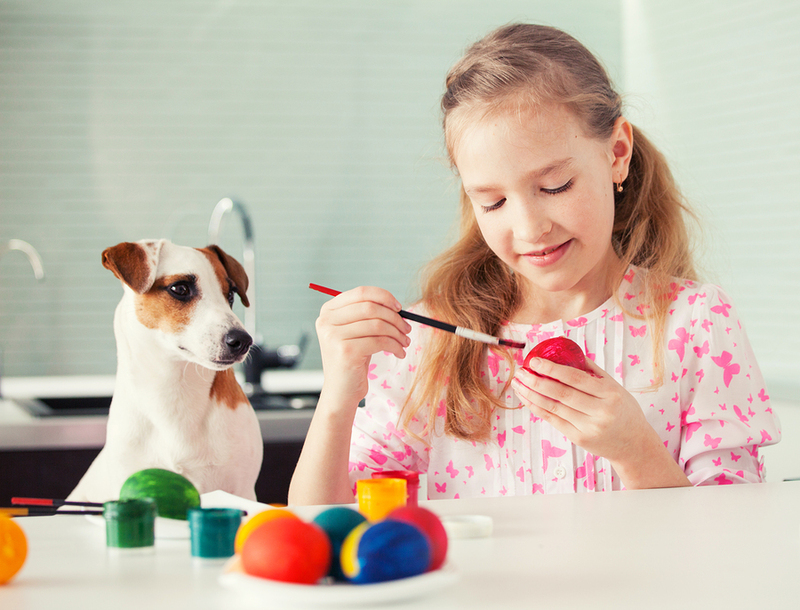 With plenty of friends, family, children and other pets coming and going throughout the Easter period it’s important to plan ahead by considering how your pet reacts to new company and then implementing techniques to keep them happy and safe. If your pet is particularly anxious around new animals or children, it’s best to keep them in a separate room with water, food and some of their favourite treats. Make sure you duck in to give them some cuddles and play time too! If you want your pet to socialise with other animals around Easter, why not introduce them to your friends and family members’ pet in the weeks before Easter so they get to know each other? You can try introducing them at a local park or a fun walk, and reward them for their good behaviour. Many people take the Easter long weekend as an opportunity to get away from their regular routines and to have a mini holiday, but don’t forget about your pets. Ensure you book them into a suitable pet boarding facility or make appropriate travel arrangements if they are coming with you. Easter is a great time to have some fun with your favourite furry friends, so include them in the festivities with a variety of activities! We love taking family portraits that include our pets and adding cute bunny ears to dogs and cats for a fun twist. Another great idea is to cook some delicious animal treats and surprise your pet with them, or just keep it simple and take them on a big walk to their favourite park. 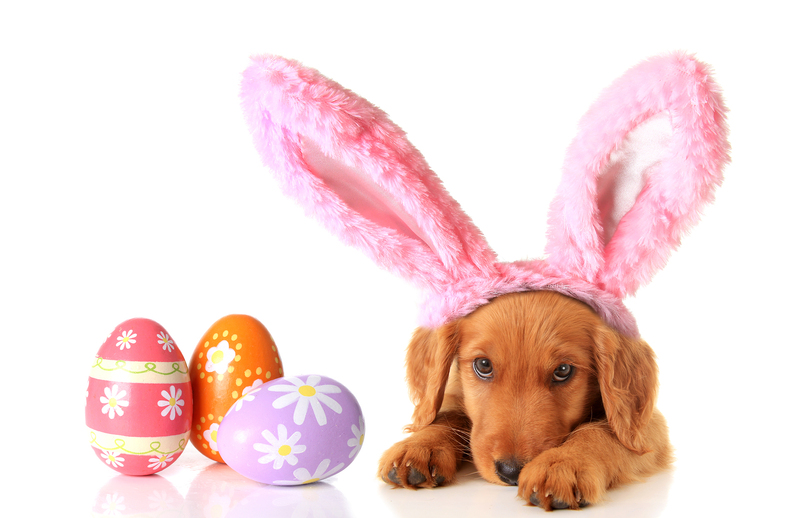 Have you got some great ways you love to celebrate Easter with your furry friend? Comment and share with us on Facebook.